Today’s installment of Ask Casey is a group effort. 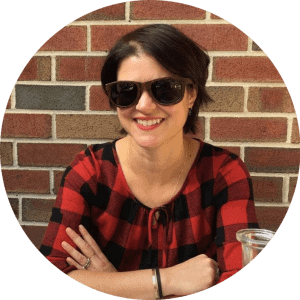 The question “Why do you specify kosher salt in your recipes?” came up a few times during the recipe testing process for the cookbook, so I figured there were a few other readers wondering the same thing. Time to put our nerd glasses on, kids! Truth be told, I didn’t know anything about the whys and wherefores of kosher salt when I started using it instead of table salt in my kitchen. I saw all the big-boy chefs doing it on Iron Chef America and figured if it was good enough for them, it was good enough for me. All salt—whether it’s kosher, sea, table, smoked, Himalayan, or whatever variety fills your cabinets—is composed of the mineral sodium chloride, or NaCl for those of you who remember your periodic tables with fondness. The difference between the salts comes from how they’re harvested (e.g., mined from mineral deposits, harvested from seawater, etc.) and what happens to them once they’re in crystal form. Kosher salt is so-called because it’s traditionally used for koshering, or salting, meat to remove blood and impurities under Jewish doctrine. It’s more coarse than table salt, so it “sticks” to food more evenly—sprinkle kosher salt liberally over a steak before you throw it in your screaming hot cast iron pan, and you’ll see its koshering properties in action. The crystal size and shape of kosher salt makes it dissolve quickly and evenly in liquid, which makes it a good choice when preparing a brine. Kosher salt’s also not iodized, meaning it’s not treated with potassium iodide, a trace element that’s important for regular thyroid function. This could merit a whole entire post on its own, but if you’re looking at charts of high-iodine foods and seeing a lot of milk, yogurt, eggs, and cheese on there, it’s because iodine is often added to commercial animal feed. Just an FYI for vegans or those of us who get our eggs and meat from CSAs or small farms. 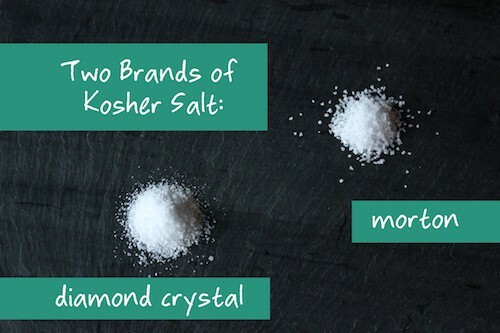 Note that there are two major brands of kosher salt, and they’re shockingly very different from one another! Diamond Crystal is typically the box you’ll find in most chef kitchens and its crystalline structure is like little jagged pyramids. Morton kosher salt is made by rolling salt crystals into large flakes, and contains an anti-caking agent (yellow prussiate of soda, AKA sodium ferrocyanide). Because Diamond is less dense than Morton, the two salts have different weights—about 5 oz. per cup for Diamond, and about 8 oz. per cup for Morton’s. (By comparison, a cup of table salt weighs 10 oz.) This doesn’t matter too much when you’re using a pinch here and there in your food, but when brining or measuring large quantities of salt, go by weight instead of volume. 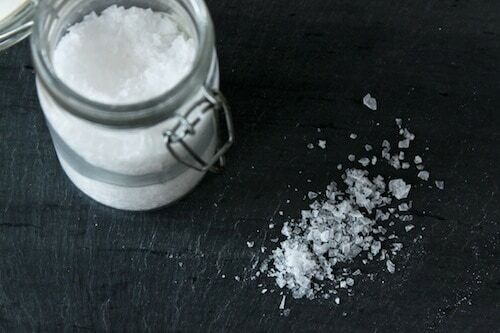 Do you absolutely need to use kosher salt for cooking? Nope! In fact, most bakers hate kosher salt because of its large crystal size. They want a finer dissolving salt, so they’ll go for non-iodized table or fine sea salt. I’m super lazy, so I just use kosher for everything and have never had a problem. (The exception proves the rule!) However, if a recipe calls for a large amount of kosher salt (more than a teaspoon) and you only have table salt in the pantry, the general rule of thumb is to reduce the amount of salt the recipe calls for by half, then taste and adjust to your preference. Tasting and adjusting is a good rule to follow in any case, yes? So, the big question is: which brand kosher salt should you use? I can’t answer that for you, as it truly depends on your own taste. But here’s my story: I actually love the texture of Morton’s and honestly prefer its taste (and do remember, I love anything that tastes like a salt lick, which is why I wrote a whole book on Doritos, Cheetos, etc.) However, I know that most professional recipes are developed using Diamond Crystal, so I’ve reluctantly switched over. And the reason I specify kosher salt for my recipes because it really does have a different weight and volume than table salt, so I feel it’s important to note. Whew! And we haven’t even discussed the world of sea salts. That’s for another episode, folks.